American Ninja Warrior, NBC’s obstacle course competition airs tonight with an all new Monday, June 15 season 7 episode 4 called “Orlando Qualifying.” We’ve got your recap down below! On tonight’s episode a qualifying round takes place in Orlando. 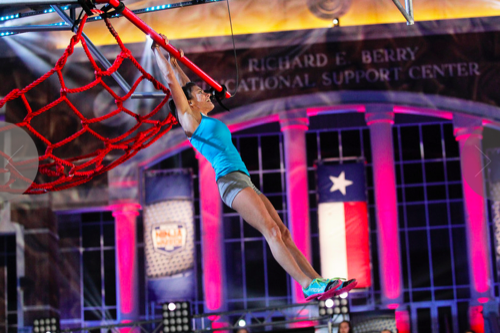 On the last episode American Ninja Warrior” travels to Houston, Texas where competitors tackle six obstacles including the brand new Tilting Slider, Cargo Crossing and The Swinging Spikes. “American Ninja Warrior” veterans Brent Steffensen and Sam Sann return along with season six breakout star and fan-favorite Kacy Catanzaro. Competitors in this rigorous obstacle course competition series vie for a chance to win a cash prize of $1,000,000 and the title “American Ninja Warrior.” Did you watch last week’s episode? If you missed it we have a full and detailed recap, right here for you.